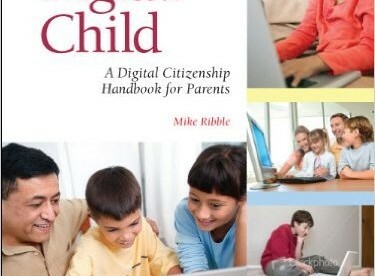 October is IoUC’s Digital Citizenship Month. Our book club selection reflects the theme. Do you have some suggestions for this topic? As a parent, do you ever wonder how you can possibly keep up with all the new technologies your children take for granted? Cell phones, online games, instant messaging, social networking, and other technologies have all become so important in the daily of lives of young people. The kids view this new digital culture as a normal way of life, even though as parents you may feel overwhelmed by all the unfamiliar challenges. Cyber bullies, stalkers, identity theft, intellectual property theft – it is hard to know just what you can do to confront the risks. You want your children to enjoy all the benefits a technological society has to offer, but at the same time, you want them to stay safe and act as responsible members of society. 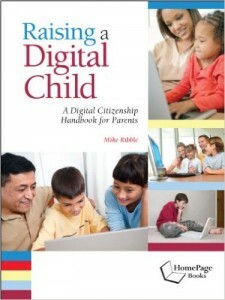 Raising a Digital Child is your guide to many of the newest and most popular technologies, in parent-friendly language, along with discussions of the risks each might harbor, and the types of behaviors that every child should learn in order to become good a citizen in this new digital world.